Vacation Points are like Bluegreen currency that all owners can use for Bluegreen resort stays or to exchange for RCI weekly stays. But when a Bluegreen or RCI resort stay doesn’t fit into your vacation plans, Traveler Plus members can also use their Points on a wide variety of vacation options, like a hotel stay, Caribbean cruise, escorted tour in Europe, resort stay on the West Coast, RV camping in the United States and Canada and many other exciting possibilities. RCI Nightly Stays — All Bluegreen owners can exchange their Points for full-week stays at resorts in the RCI network. But you don’t have to book a full-week stay if you are a Traveler Plus member. Book what you need—even just one night—up to 10 months in advance at more than 1,000 resorts. Pay lower exchange fees, too. 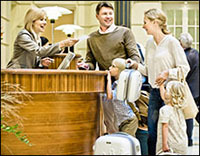 * You can book online at bluegreenowner.com or call Bluegreen Travel Services at 855.645.2215. Direct Exchange Resort Stays** — Traveler Plus members have more resort choices outside the Bluegreen network. Use Points to stay at a growing collection of attractive, handpicked resorts in the Western United States, Mexico’s Pacific Coast and Canada, plus more than 200 Choice Hotels® Ascend Hotel Collection® and Cambri® Hotels properties in North America, Europe and Australia. Book online at bluegreenowner.com. Hotel PointStays — Planning a ski weekend, visiting relatives out of state or have a class reunion? Use your Points to stay in 4- and 5-star hotels around the world. Book online at bluegreenowner.com or call Bluegreen Travel Services at 855.645.2215 to pay with Points or a combination of Points and a credit card. Hot Weeks Getaways — If you can travel at the last minute (two to 10 days before check-in), you can get week-long RCI resort vacations for just 3,000 Points—and no exchange fees! You can use saved points for Hot Weeks, too. Check availability and book a Hot Weeks stay online at bluegreenowner.com. Cruises*** — Sail the seas or the rivers of the world! Book any cruise with a minimum fare of $500 per passenger and pay with annual, unrestricted Points, a credit card or a combination of both. 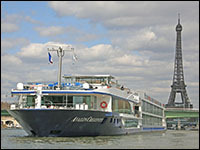 Book cruises online at bluegreenowner.com, or call Bluegreen Travel Services at 855.645.2215. Escorted Tours*** — Let someone else do the planning! If you are taking your first trip to Europe, venturing to Machu Picchu in Peru, trekking to Africa for a camera safari or surveying America’s national parks, a guided vacation with a quality tour company takes the worry out of managing all the details. Book any escorted tour with a minimum fare of $500 per passenger and pay with annual, unrestricted Points, a credit card or a combination of both. Book escorted tours by calling Bluegreen Travel Services at 855.645.2215. Owner Adventures Vacations*** — Every year we plan several group vacations in bucket-list destinations like Ireland, Australia, Hawaii, Alaska, China and Italy. Owner Adventures vacations are open to ALL Bluegreen owners, but Traveler Plus members have the added benefit of using annual, biennial, borrowed and rented Points, a credit card or any combination of these to pay for any Owner Adventures vacation. For information on upcoming Owner Adventures vacations, go to Owner Adventures or call Bluegreen Travel Services at 855.645.2215. Coast to Coast RV Resort Camping — Hit the open road in your RV and choose a campsite at a luxury campground from among the largest network of RV resorts in North America. You already have a complimentary membership as a Traveler Plus benefit. Pay for your stay with Bluegreen Vacations Points or purchase Coast Tripsetter points. For more information, go to bluegreenowner.com. Discover all of the ways you can use your Points to plan a variety of vacations by watching our recorded webinar, Alternative Vacation Options Using Your Points. 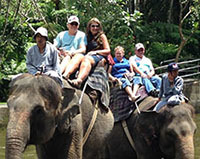 Go to Bluegreenowner.com to Learn About All Your Traveler Plus Benefits. *The exchange fee for an RCI full-week stay is $239, whether booked online or by phone. The exchange fee for RCI Nightly Stays varies by the number of nights of your reservation: 1-3 nights, $79 online; 4-6 nights, $149 online; 7 or more nights, $159 online; add $10 for reservations made by phone. Housekeeping fees are additional. **Direct Exchange benefit applies only to Traveler Plus members with a Bluegreen purchase date of 7/1/06 or later. ***TRAVELER PLUS POINTS-FOR-TRAVEL BENEFIT TERMS & CONDITIONS: In order to apply any combination of annual, biennial, borrowed or rented Bluegreen Vacations Points for payment, cruise, escorted tour or Owner Adventure price, including base fare and taxes, must be a minimum of $500 per person for the first and second travelers in a room or cruise cabin, for a total minimum cost of $1,000. Benefit applies only to active Traveler Plus members.